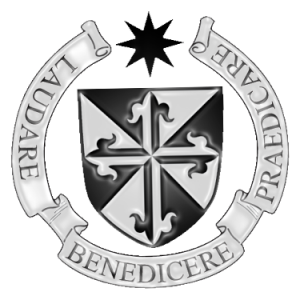 This weekend there is another “Credo Weekend” calling young Catholics (18-35 yrs) to join us for a weekend of Catholic Doctrine, Discussion, Prayer & Community. This time the theme for the weekend in ‘Creation’ and a variety of talks will be given connected to this subject. The weekend will be the 15th to the 17th of June in Glencomeragh Retreat House, Co. Waterford (The Holy Family mission). The cost of the weekend is 80 euro. “Always be prepared to make a defence to any one who calls yo to account fir the hope that is in you” – 1 Peter 3:15. 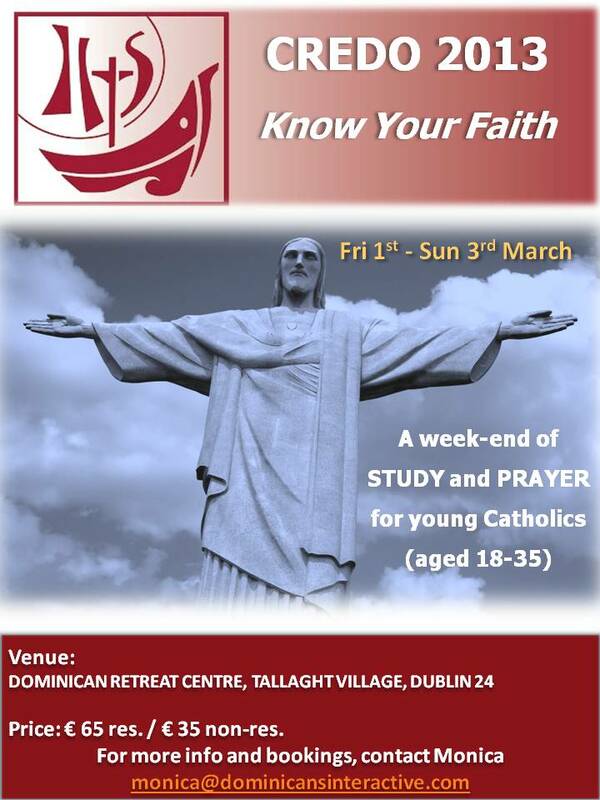 A week-end of STUDY and PRAYER for young Catholics (18-35) will take place between 1-3 March 2013 in the Dominican Retreat Centre, Tallaght Village, Dublin 24. 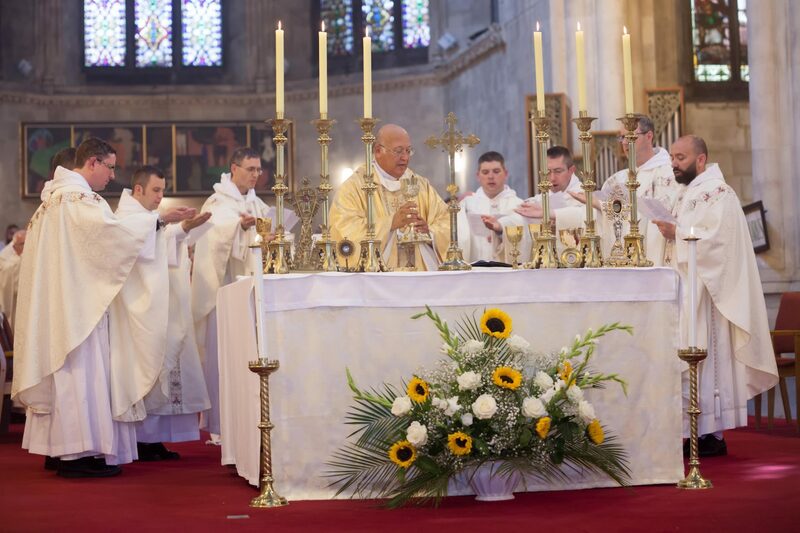 The week-end begins at 7.00pm on Friday night, 1st March, and concludes at 4.00pm on Sunday, 3rd March.